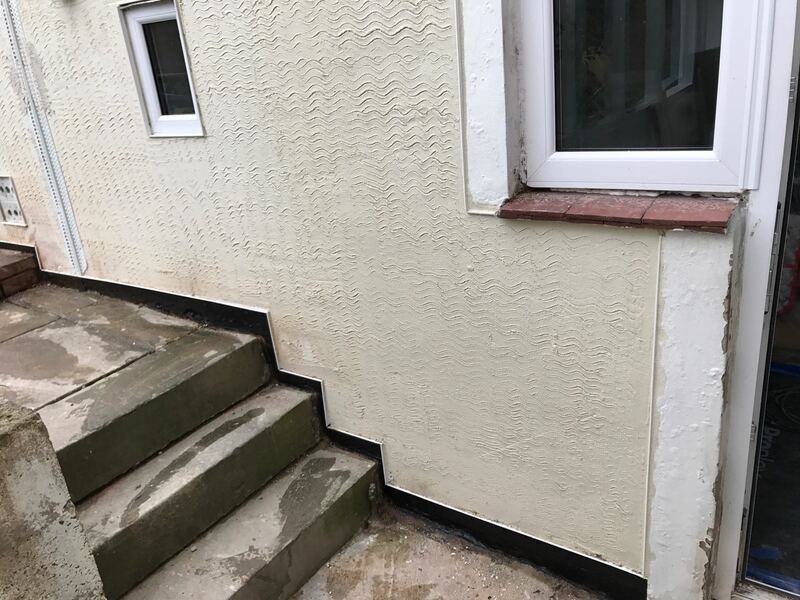 External render on an old extension. 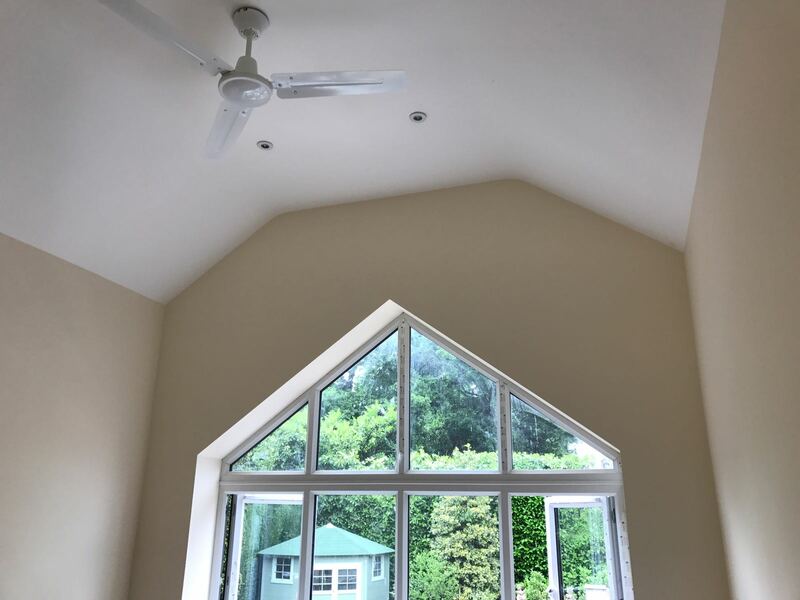 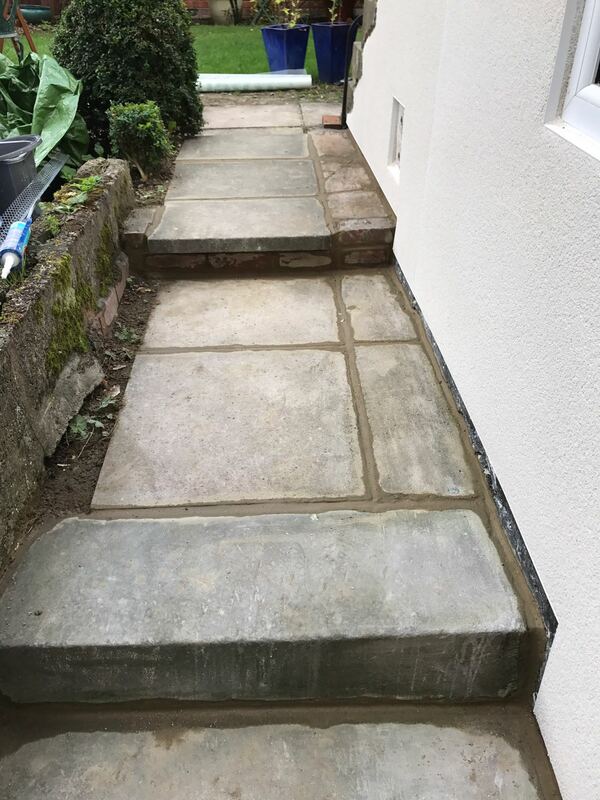 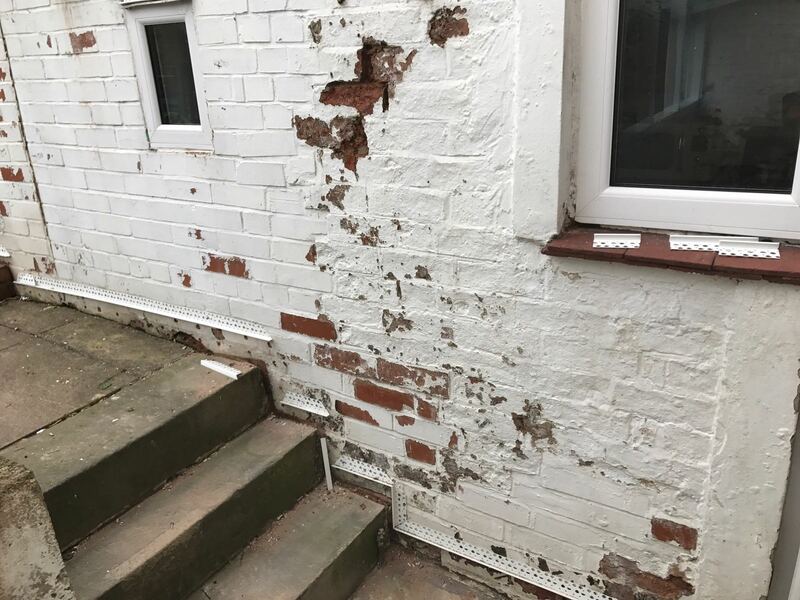 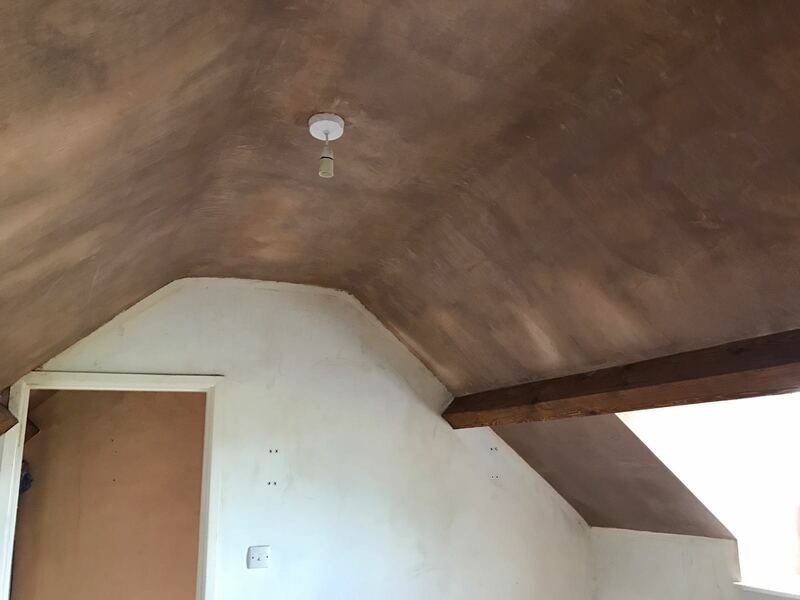 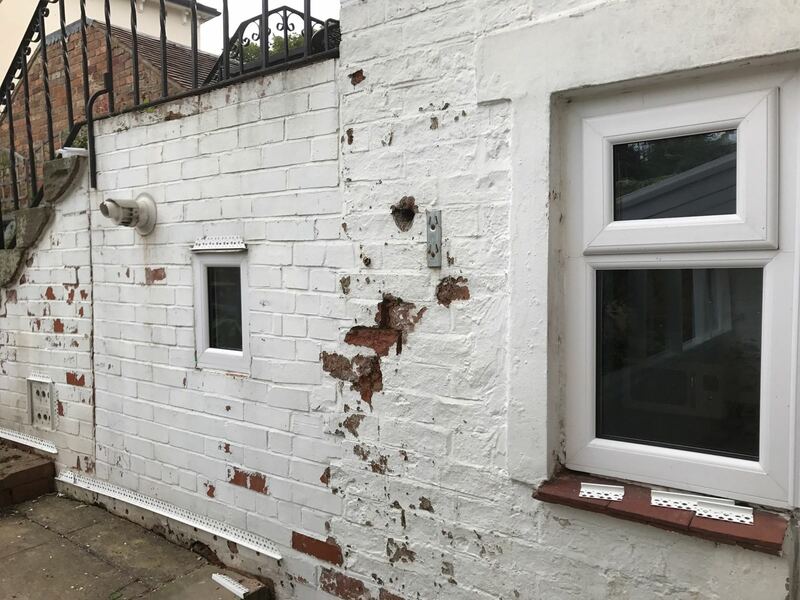 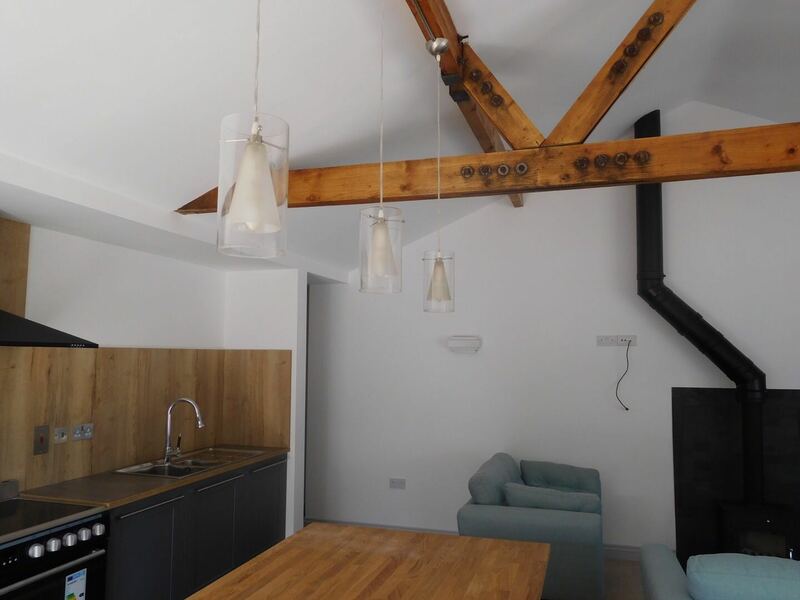 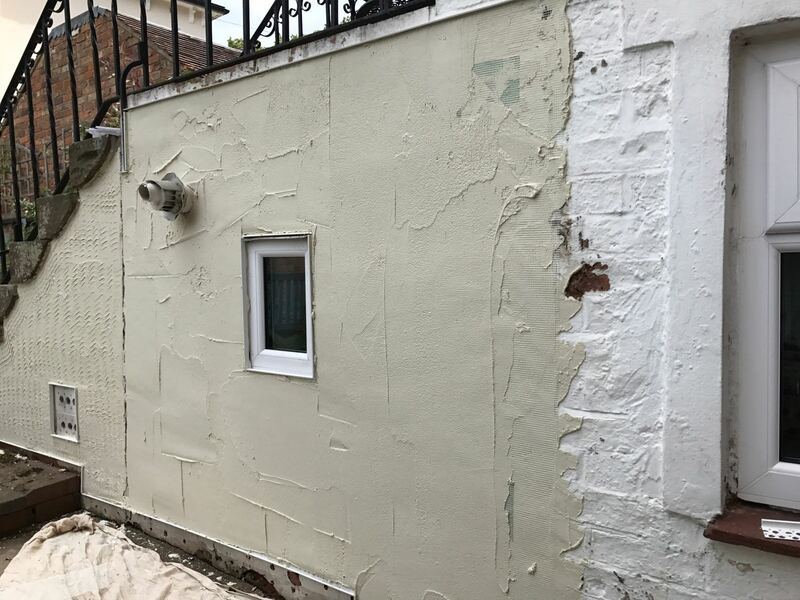 Due to the old brickwork being previously painted, we removed the old flaking paint and applied a base coat called ‘Vimark Rasolite’ which is a lime based coat that has small fibres and excellent adhesion properties. 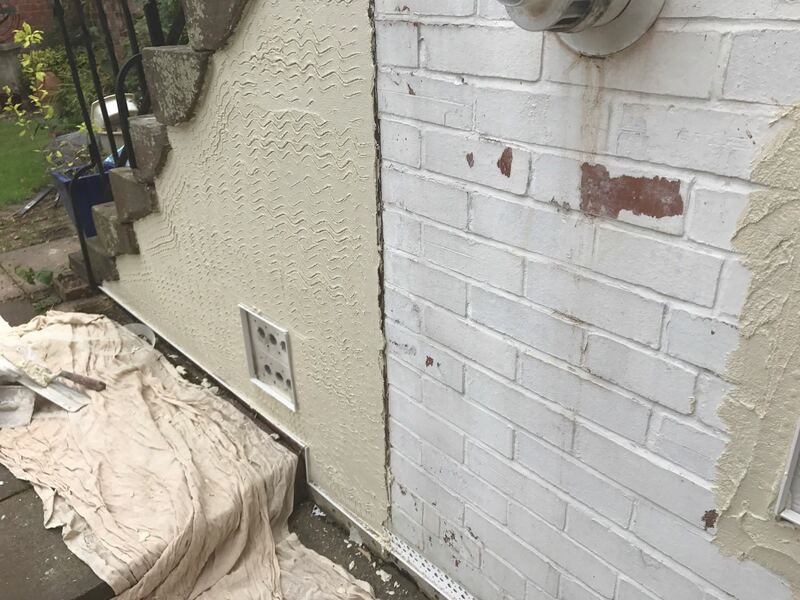 In addition, we applied a fibreglass mesh for extra strength. 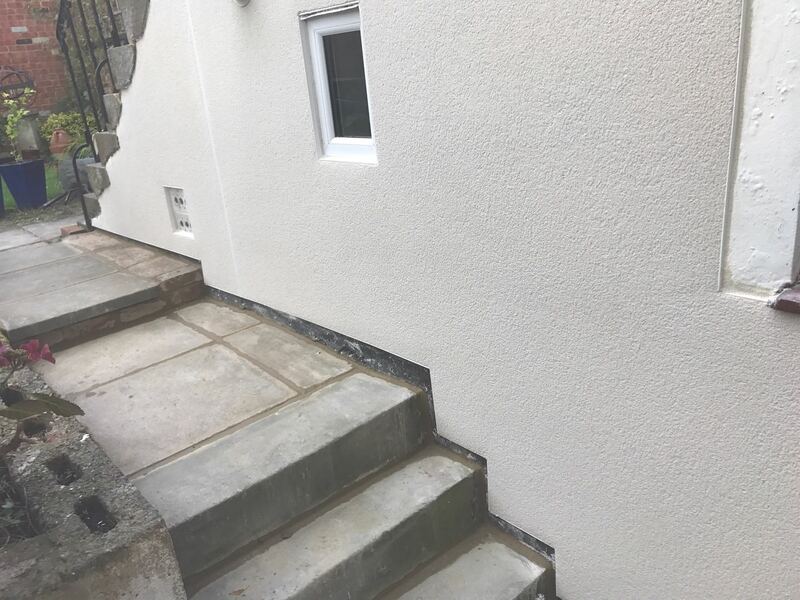 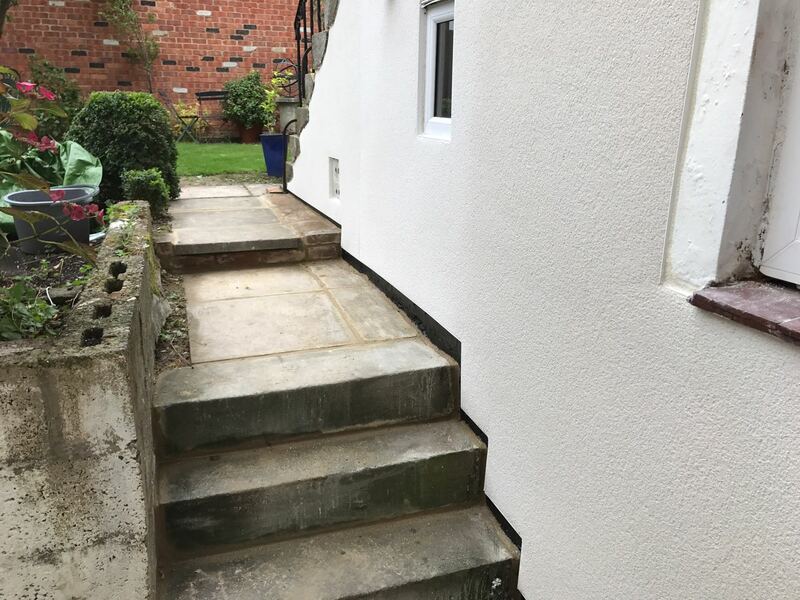 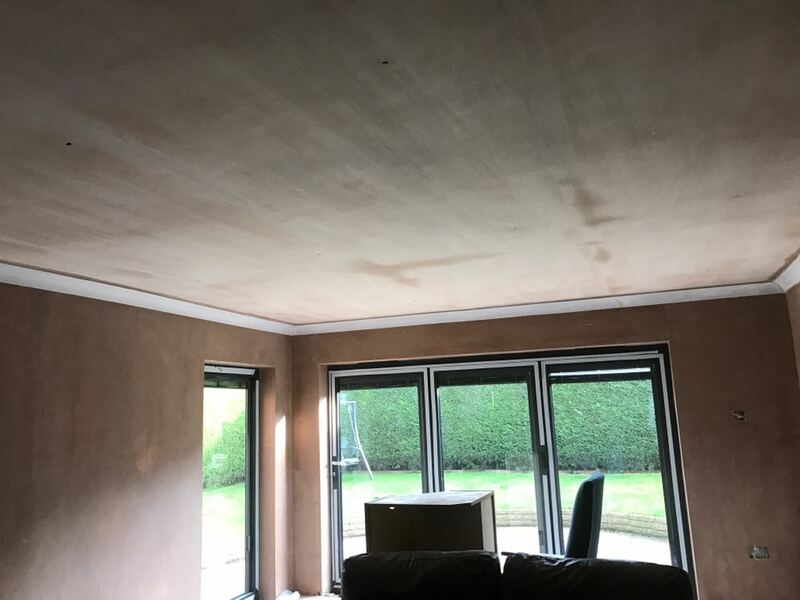 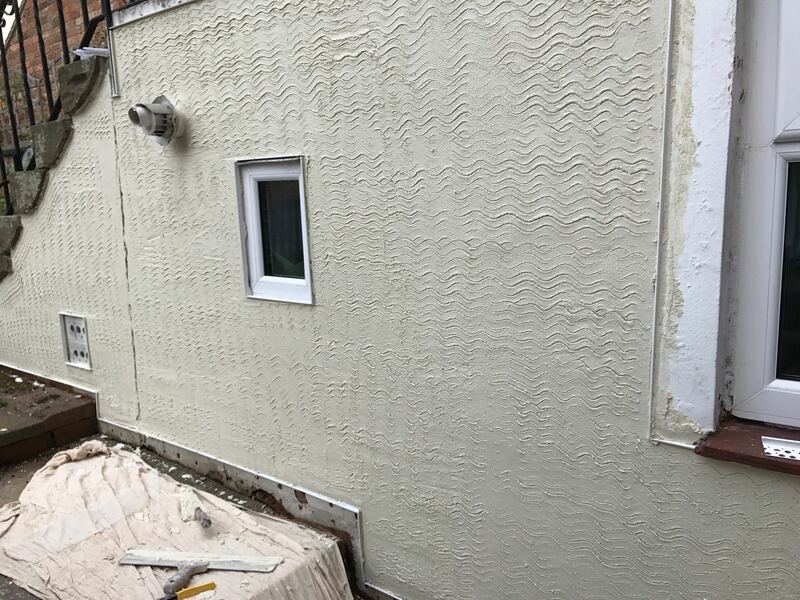 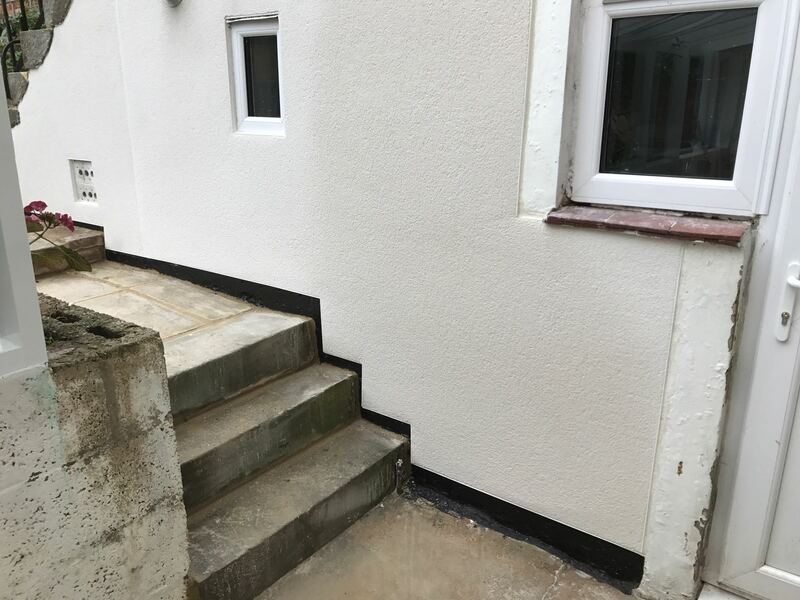 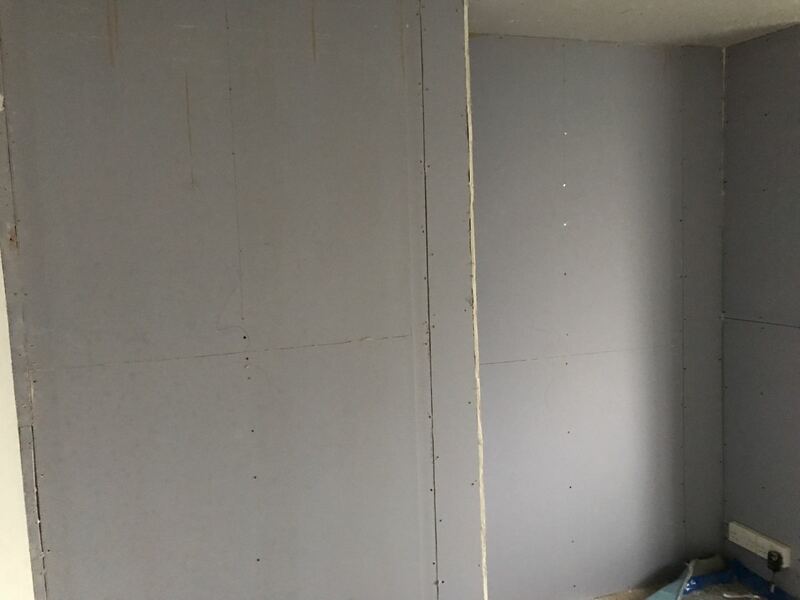 Once cured for 48 hours, the K Rend Silicon render applied to an extension wall.